There has long been a mystical image for us folks in Europe of the free roaming life of travelling troubadours, hobos or those seeking new pastures across the states. Whether inspired by Steinbeck, Kerouac or Guthrie, the exotic nature of such an existence (mythical or not) transports many a dreamer out of reality with often the soundtrack playing a leading light. One listen to OUT OF TIME by Jim Keaveny and one read of his bio leads to a 2014 personification of this wanderlust vision. The song is king for an artist who tooled up with a guitar and harmonica hit the roads and rails to find his true music soul. Call it country, call it folk or call it just plain Americana, OUT OF TIME will satisfy any thirst for the imagery detailed above in a comprehensive collection that exceeds the hour without outstaying its welcome. 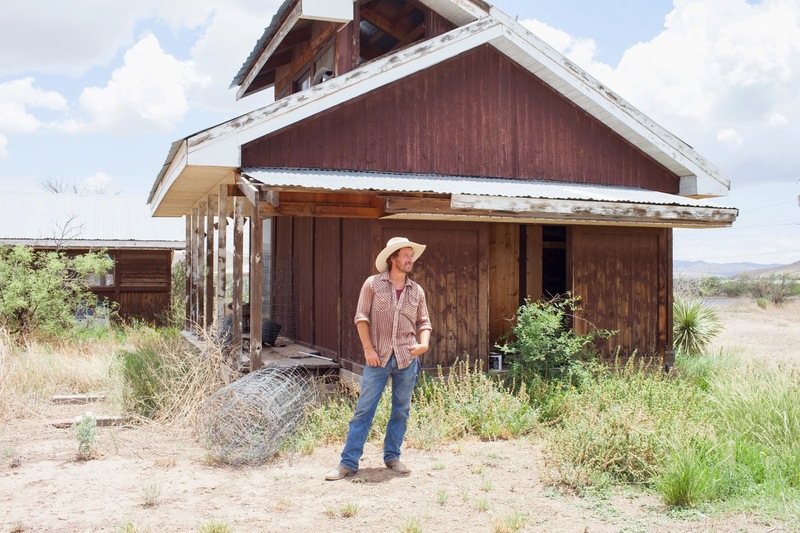 Now statically swapping the roaming life for a more settled existence in the barren spaces of West Texas, Jim has his fifth release heading to the UK to the great delight of many Americana dreamers. While the strength exists in the lyrics, the sound refuses to be constricted within acoustic confines especially with full on electric and brass thriving on the album’s pivotal positioned title track. While the album does have its experimental moments, for example in the style hinted in the title of ‘Someone To Talk To Blues’, there are three tracks which have the potential to rise above the pack in terms of popular appeal. If you’re seeking out a track to reflect the travelling life then album opener, ‘Eugene to Yuma’ will meet the requirement with a precision fit. Americana dreamers will feast lavishly on this sumptuous bait and use it as an introduction to explore the inner sanctum of this album. For a light snack a quarter of an hour into the album, ‘Ridin’ Boots’, with its traditional call and response chorus will find many admirers. At 5:40 long ‘The Yippee-i-ay Song’ sees Jim complete the circle and bring music wonderfully down to its rawest form. This exit number leaves you in a similar frame of mind to the opening song and grateful that you stayed with the album during the explorative phase. OUT OF TIME, not be confused with the record that exploded REM’s career in the early 90s, had a near simultaneous release either side of the Atlantic and will no doubt engage many converts. While not particularly residing in either the country or folk camps, fans of both would do worse than to dip in and sample an artist steeped in the ideals of those genres. Available from the usual sources, it may be wise to utilise the best way to support a self-released record but that’s the prerogative of the buyer. 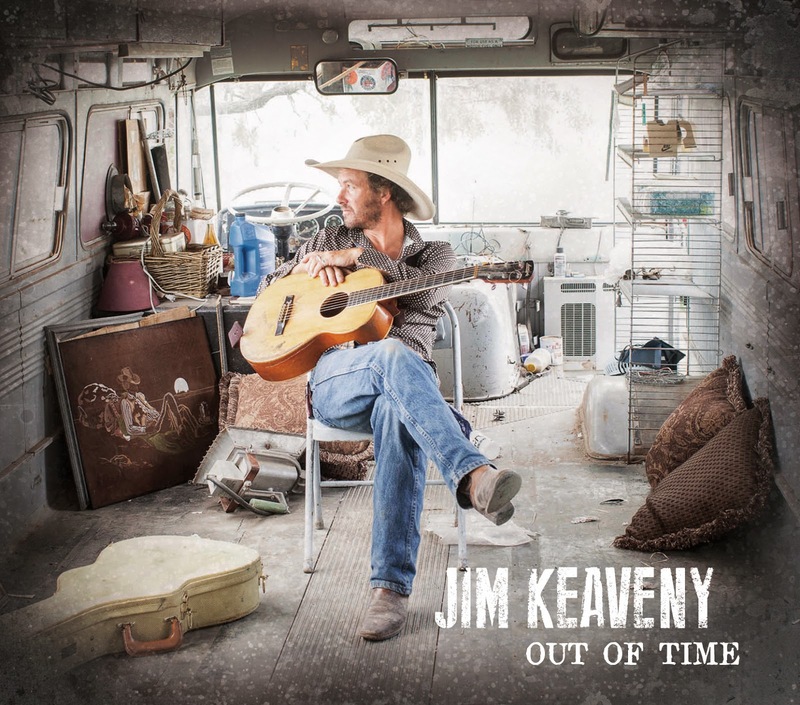 Whatever the mode of purchase, OUT OF TIME by Jim Keaveny will be a valuable addition to any music collection.